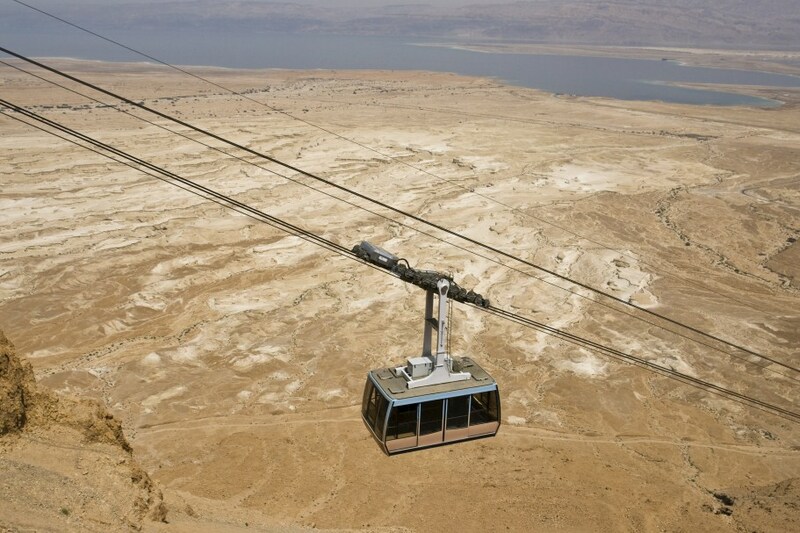 Exit Ashdod port south-east towards the Judean Desert via the inn of the Good Samaritan. 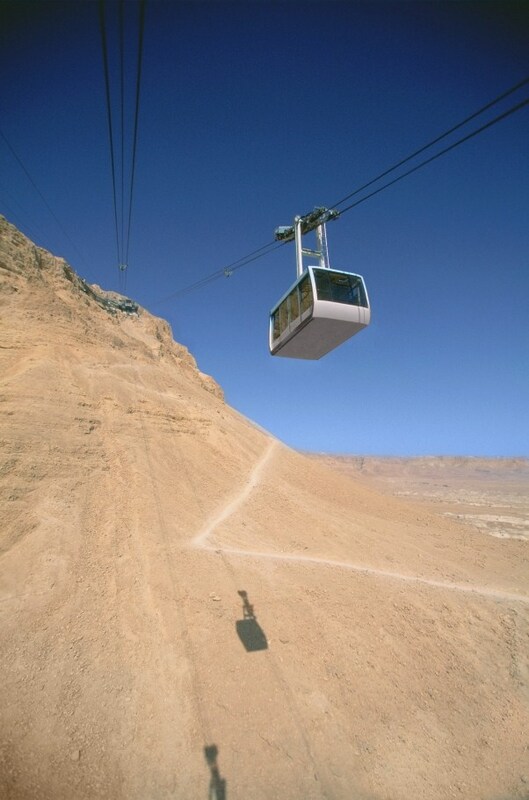 Ascend Masada by cable car to tour the 2000-year-old fortress and palace built by King Herod. 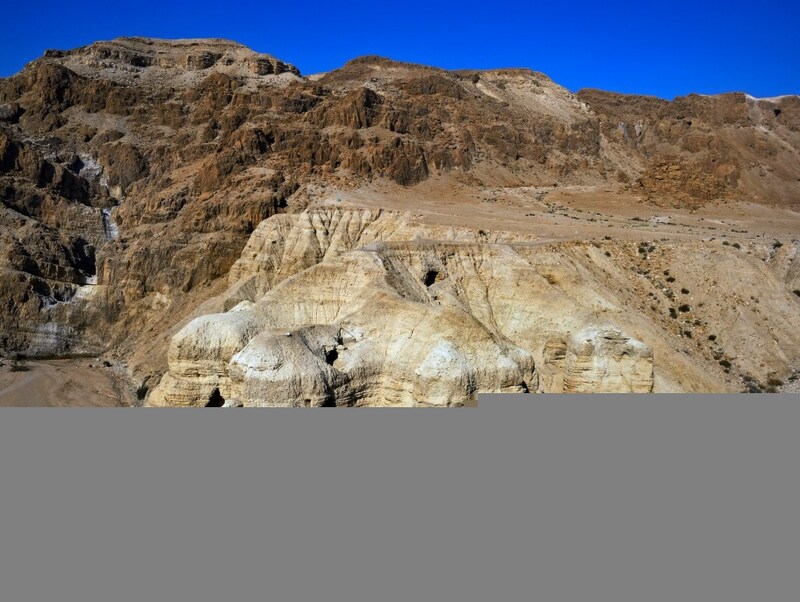 Drive via Ein Gedi and Qumran, overview the caves where the Dead Sea Scrolls were discovered. 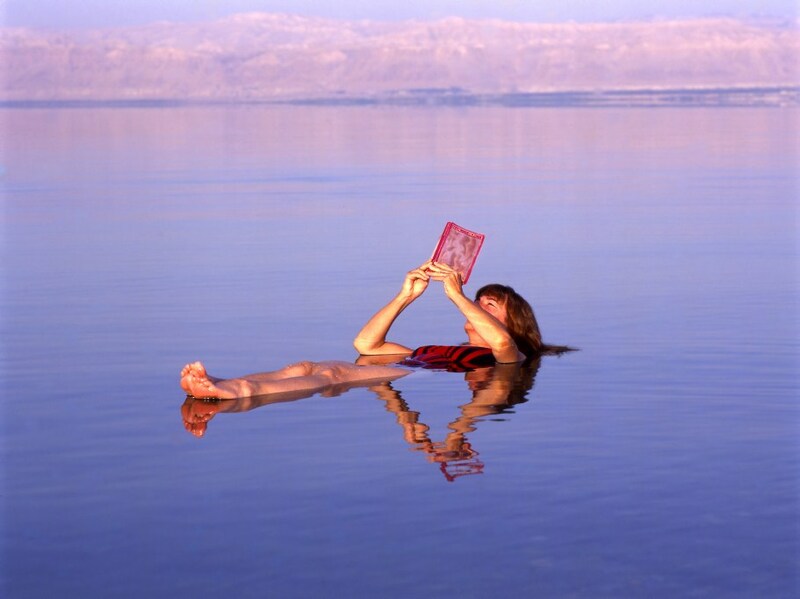 Float in the mineral-rich Dead Sea - at 400m. below sea level, the lowest place on earth. Take a mud-bath! And benefit from the therapeutic qualities of the natural Dead Sea mud. 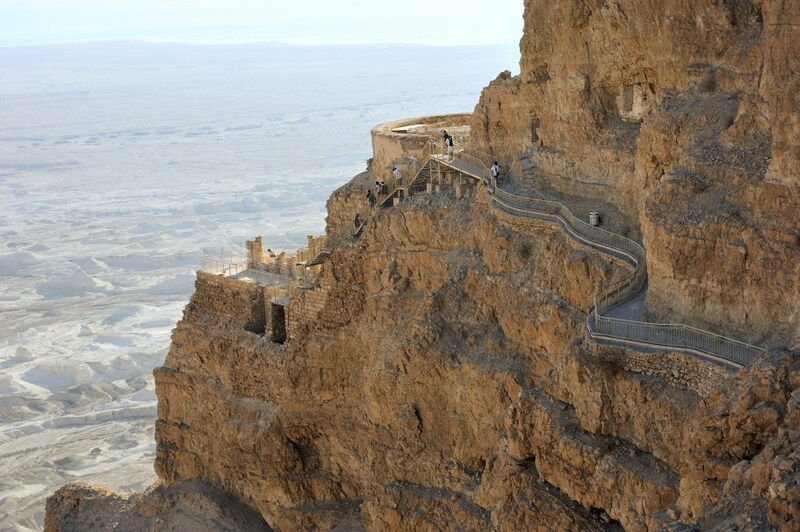 Drive back to Jerusalem with overview of Jericho and old Roman Road. 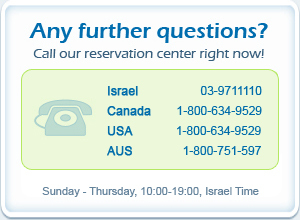 Return to Ashdod Port. 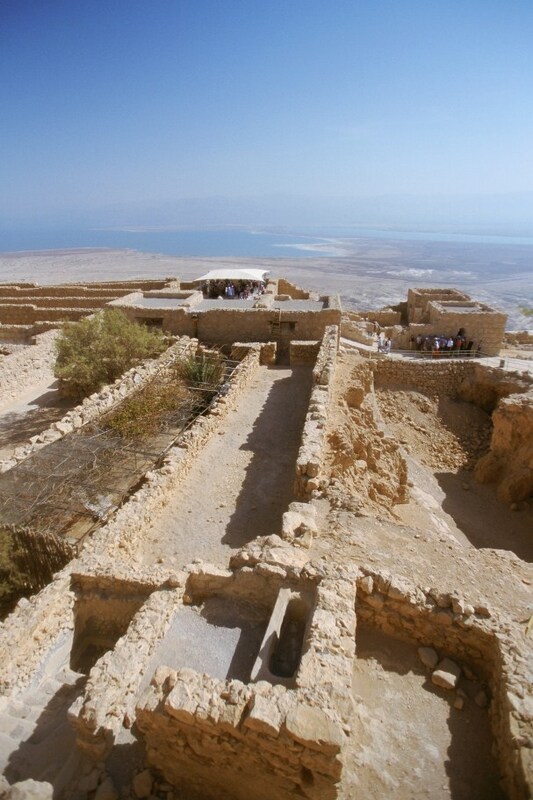 Kibbutz Almog, a museum that displays the reconstruction of the Dead Sea Scrolls. 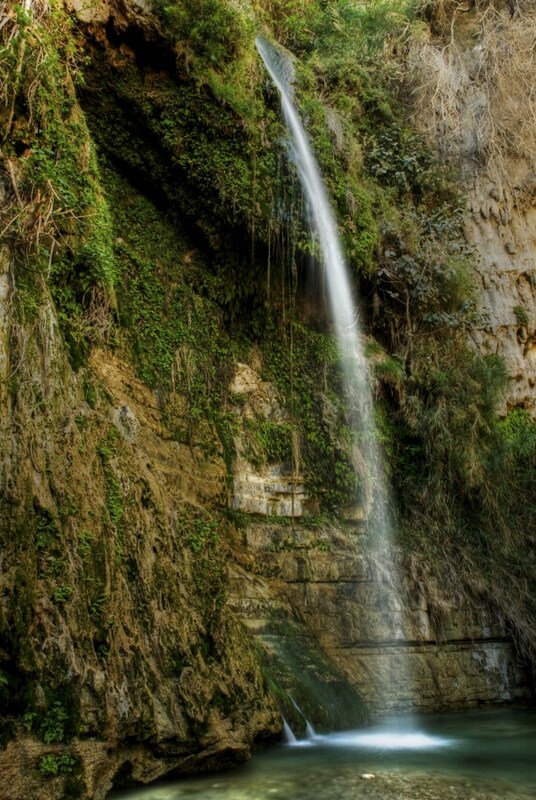 Ein Gedi nature resort, walking in a wadi (David or Arugot) different routes between 1 to 4 hours. 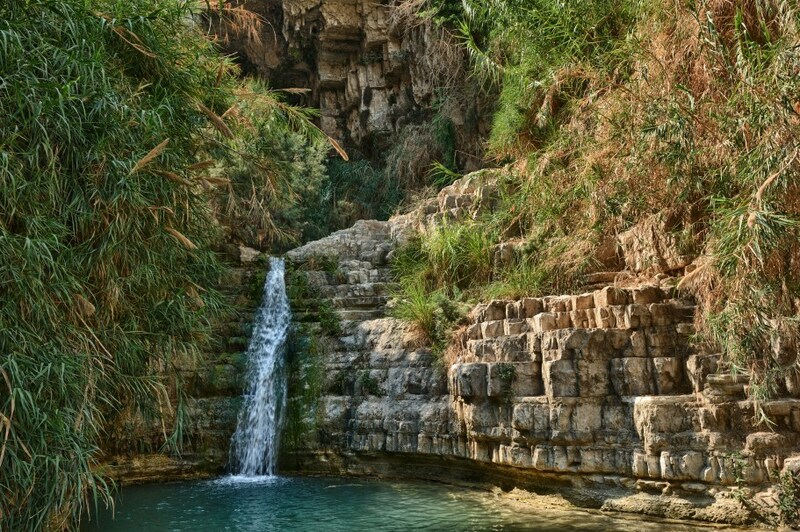 The ancient synagogue and botanical gardens at Ein Gedi. 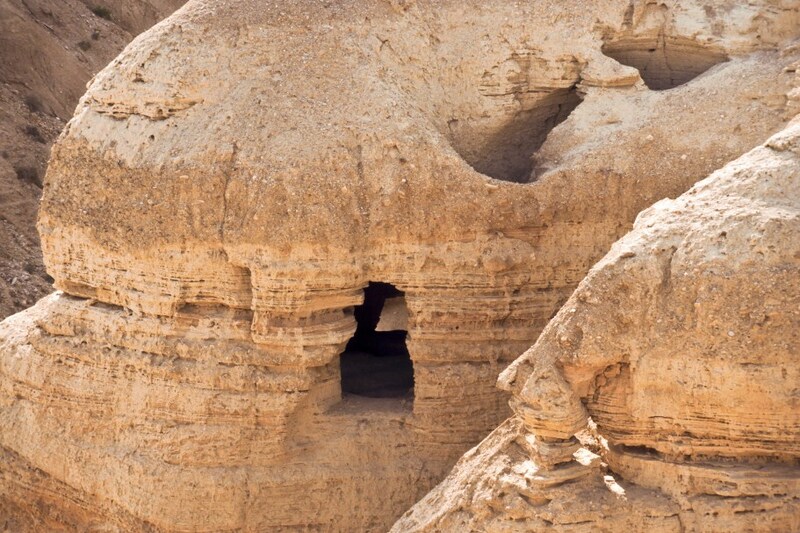 The flour cave in the narrow gorge of Nahal Perazim.